A couple years back I found some very cute vintage style punch out Valentine's books, this year I decided to use them as decorations, I still would love to craft with them also! 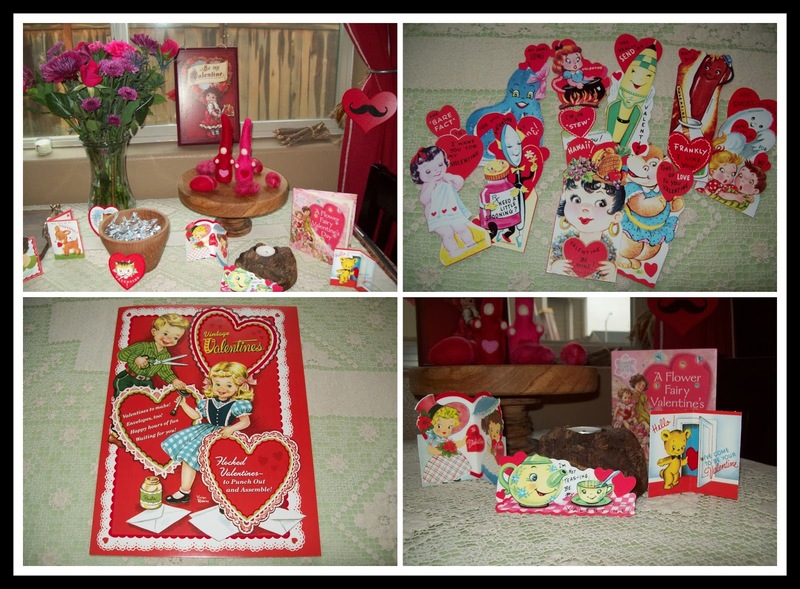 What I am really on the lookout for, and what I haven't found in the longest time, are the little Valentine activity type books I had as a child back in the 80's where you would cut out and make all sorts of Valentines, I had so much fun with those as a child! 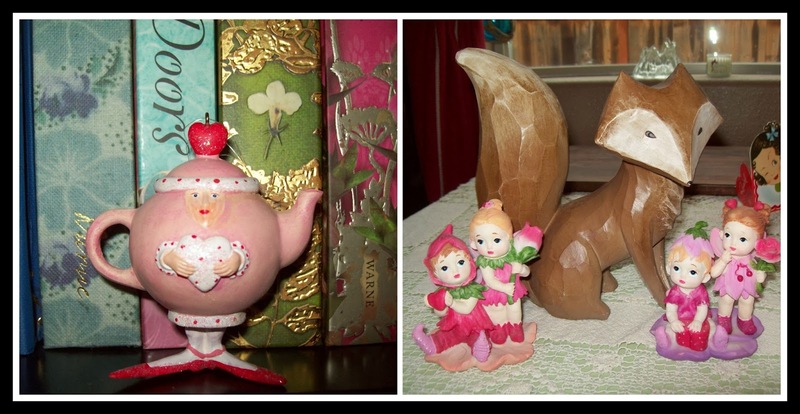 Along with the vintage Valentines, I have set out some of my favorite little Valentine figurines. I really enjoy decorating for every holiday! This year, my daughter Sarah, who is in her first year of college, and currently working as the assistant coach for the high school robotics team, decided to make a very cute robot themed Valentine goody for the robotics team members. 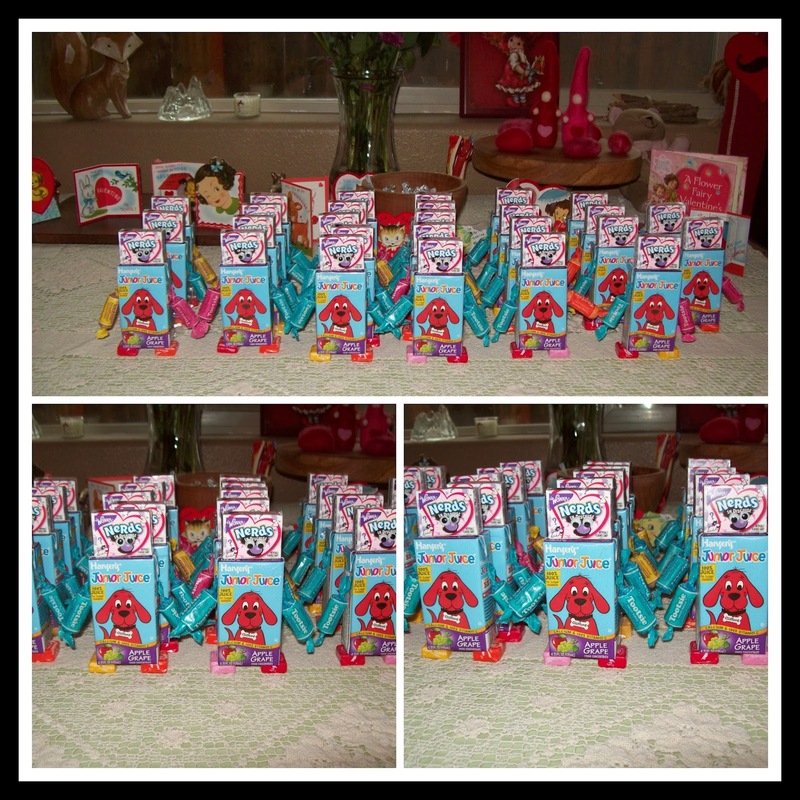 These little candy and juice box robots turned out so cute I had to get pictures and share them with you. This was such a cute project, and the robotics team really enjoyed them. I think these would be great to pass out in classrooms for Valentines day, and also as a great party favor for a robot themed birthday party. Here is a close up picture so you can see how they were made. 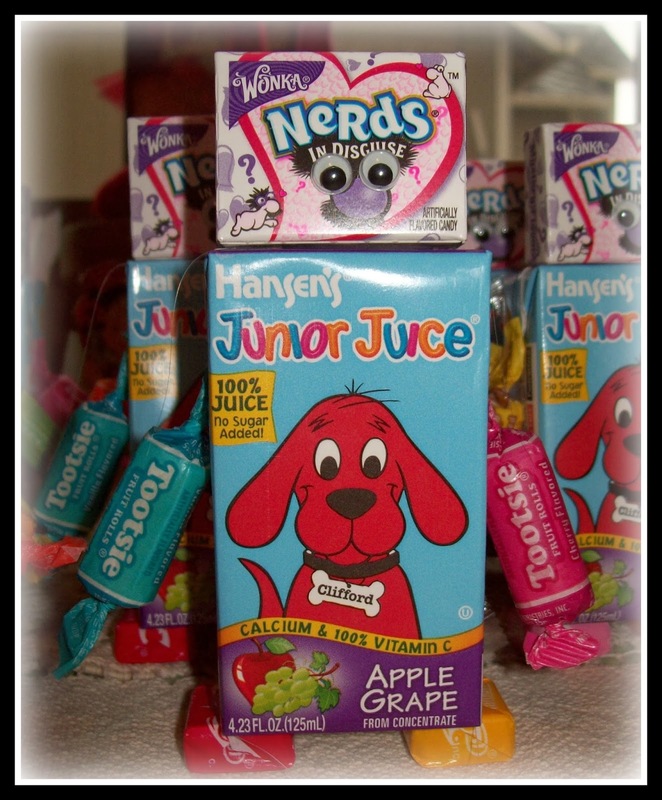 The different candies were attached to the juice box, as well as the googly eyes attached to the top little box of Nerds, with a hot glue gun. She used Starburst for the feet, Fruity Tootsie Rolls for the arms, and a little box of Nerds for the head. Very cute Valentine treat! Valentines Day always marks the time when I start really looking forward to spring, last week we finally had our winter. 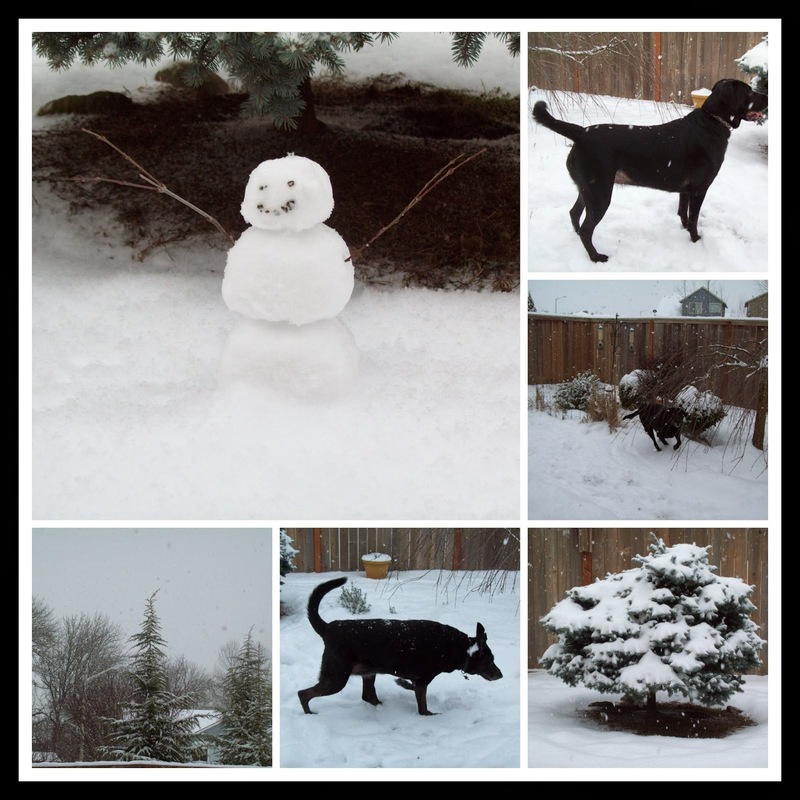 The snow was beautiful, we had quite a bit more than last year, we all had fun playing in the snow, the dogs really enjoyed it too, our younger lab was running all around and catching snowballs the kids would throw for her, it was really cute. 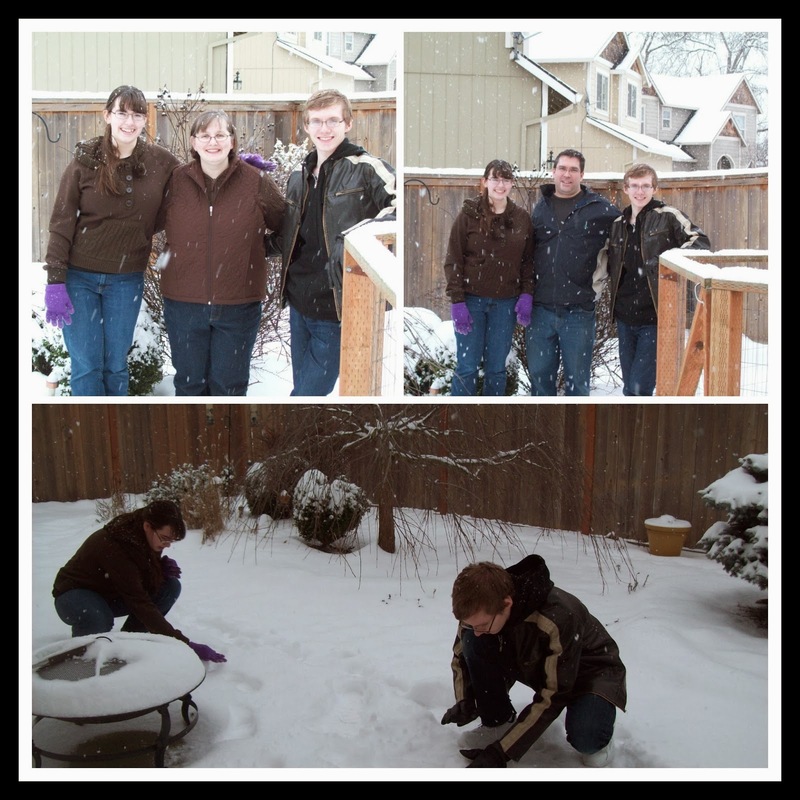 We all bundled up and made a few snowballs, the kids made snowmen, it was also nice having a few days off from school! 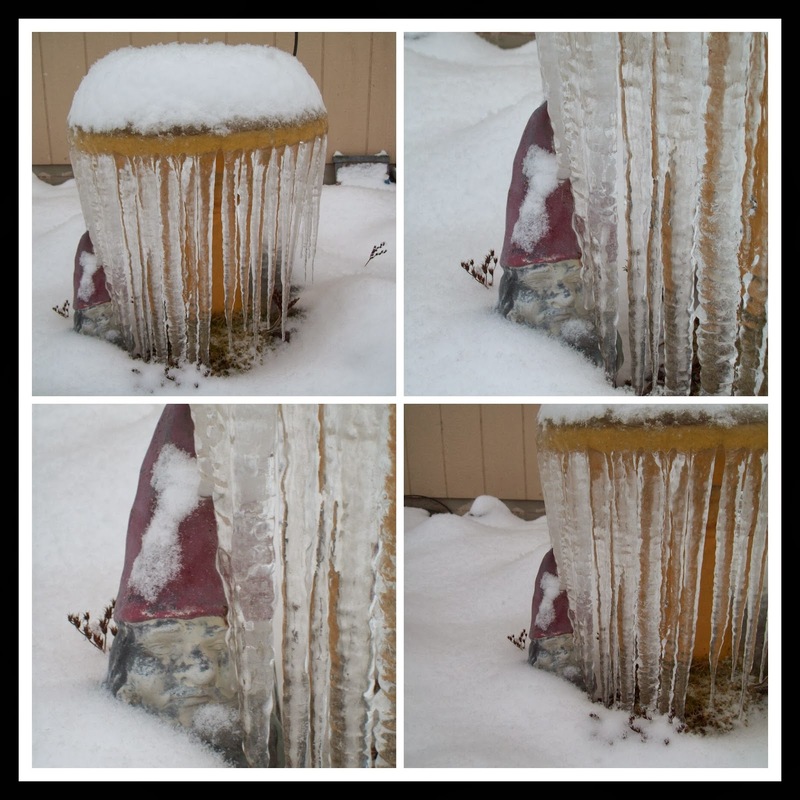 I keep my birdbath dripper on year round, so the birds have water even when everything is frozen, it turned into quite the fun looking icicle cave trapping and coating the little gnome who stands near the birdbath in ice, it looked like something the White Witch from Narnia would do to our little garden gnome! After a few days of winter it all melted and went back to our normal Oregonian rainy winter, and signs of spring are everywhere. Bulbs are pushing through the ground, the Robins are back and I even caught a glimpse of a beautiful thrush that stopped by my garden for a quick visit, I haven't seen one since I lived near the woods, so that was a nice treat. 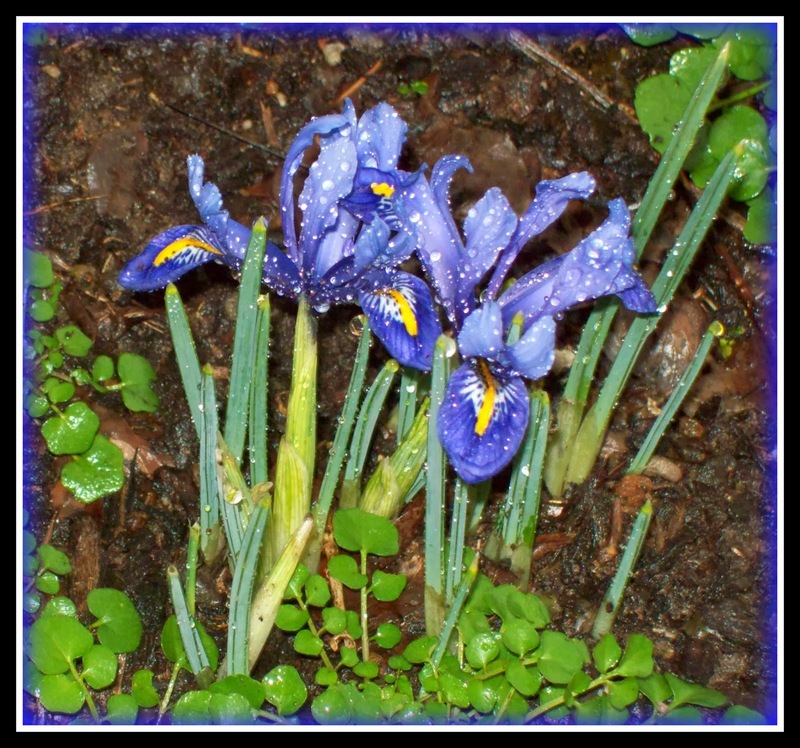 Today I was pleasantly surprised by a blossoming group of mini iris, I love these pretty little purple flowers. I am really looking forward to spending more time in my garden now that spring is on the way! 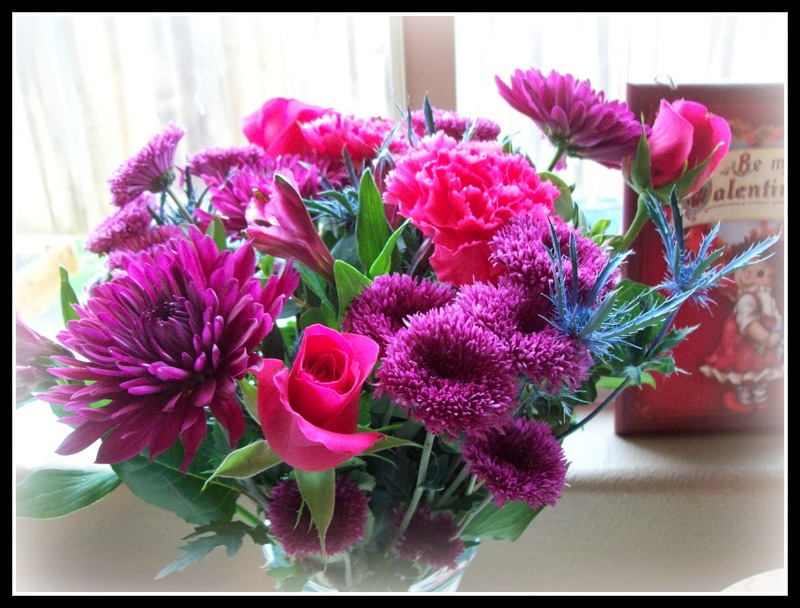 What an absolutely 'beautiful' bouquet. Now, I am curious. You mentioned leaving your 'birdbath dripper' on year round. Just what exactly is a 'birdbath dripper'? I usually put my birdbath in the shed during the winter months.